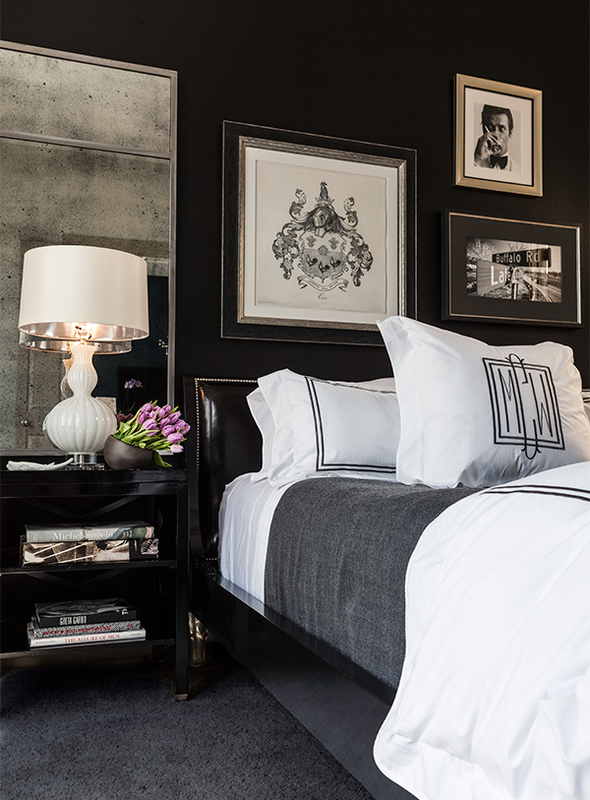 Designer Doniphan Moore brings sophistication to a home at the Ashton. Morgan Cox thought his move into The Ashton was temporary. When he set up house in the upscale apartment high-rise eight years ago, he figured his stay would be short-lived. “I moved in with the expectation that I would buy a house in Dallas,” he says. And Morgan did buy a house—it just wasn’t within the Dallas city limits. “I ended up buying a lake house,” he explains. It was at that very Cedar Creek lake house that he met Doniphan Moore at a Fourth of July bash he hosted a few years ago. 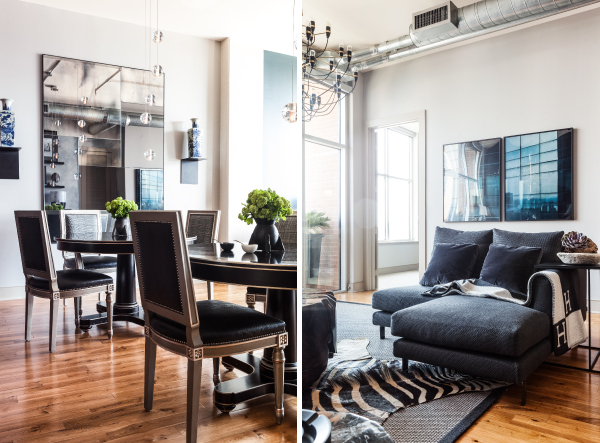 The two became fast friends, and by the fall, Morgan asked Doniphan for some help transforming his bachelor pad into a sophisticated pied-à-terre. 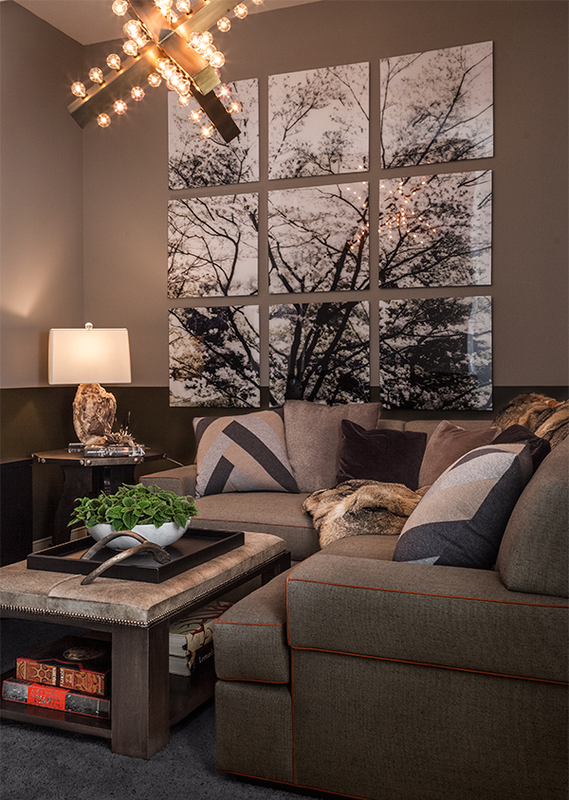 “I had things in there from my grandparents—antiques—mixed with Cantoni furniture. It was a hodgepodge of things. It was nice, and it worked well, but it was lacking a certain level of sophistication,” Morgan says. 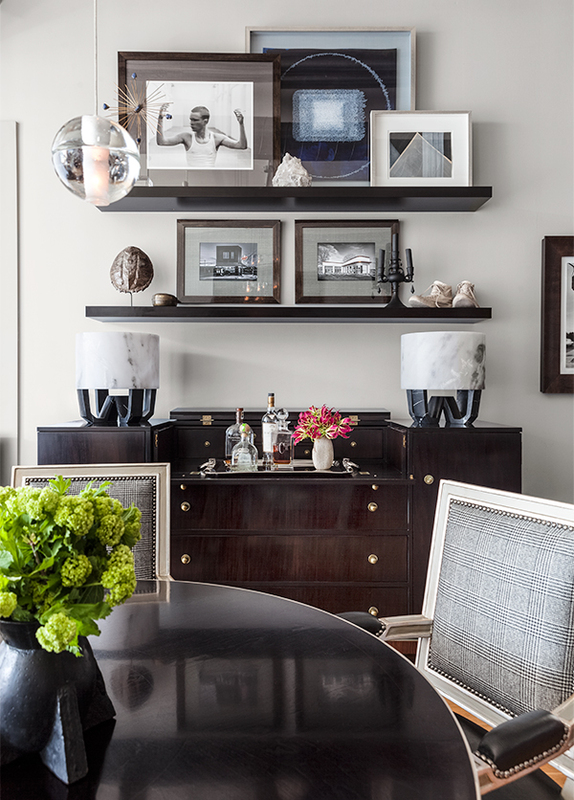 The designer started with the living room and then moved into the adjoining dining room. And then from there, he set his sights on the master bedroom and the “man cave”—a term that Doniphan hates, by the way. Lighting was one of the most important elements throughout. Doniphan changed it all out, bringing in bubble lights from Scott + Cooner, for example. “I love candlelight and really dim lighting. All the lighting now is really warm,” Morgan says. 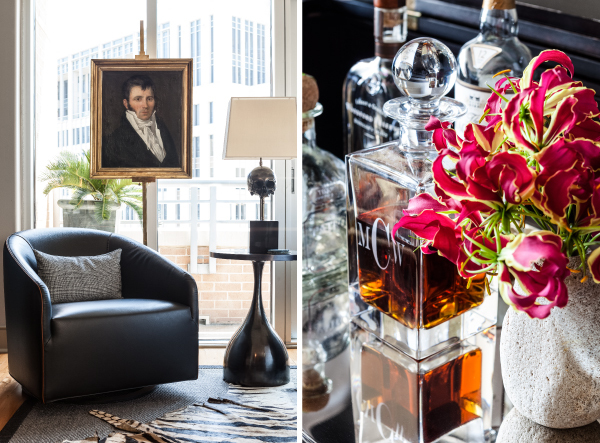 To that end, it was important to bring some elements from Morgan’s Johnson City, Tennessee, upbringing into his Uptown apartment. So he hired photographer Tom Raymond to shoot buildings his family has owned for generations in his hometown. “Some of the buildings are retro-looking. Some of them are historic,” Morgan says. “I really wanted some pieces from home.” The photographs now hang above his bed. Also above the bed is a beautiful crest, which Doniphan collaborated on with Fort Worth artist Helen Altman. “Morgan loves the idea of heritage and family, so we reinterpreted some things and created this crest—a coat of arms. Helen ordered books and did research, and then we handpicked each element,” Doniphan says.